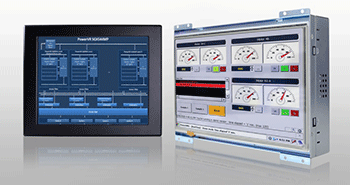 Performance, design and cost are critical components of any HMI system, particularly when that system is used for rugged, industrial applications. Winmate’s new suite of ARM-based Panel PCSs are built with latest technology and rugged design, ideal for industrial machinery, equipment, control and automation applications in various factory scenarios. The devices come with on-board 16GB eMMC, two USB ports, a micro SD card slot, micro HDMI, and an RJ45 10/100 LAN, which supports power over Ethernet (PoE) function. This new suite of HMI systems also delivers high performance with low power consumption, all in a rugged panel pc form factor, designed to meet the requirements of tough industrial environments. Winmate understands the challenges and technological needs in the factory setting. Our latest HMI systems were built with ARM system architecture to not only address these challenges, but also reduce cost and power consumption while improving design and performance.